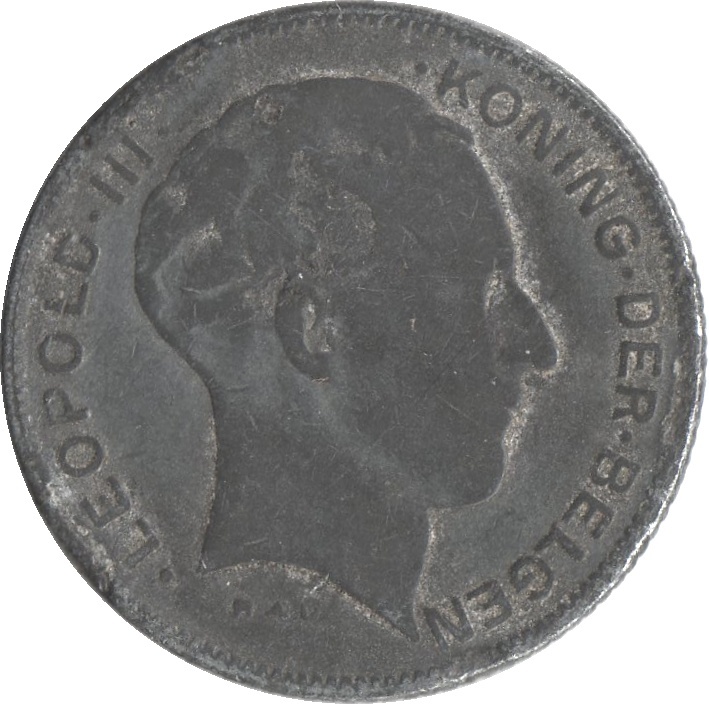 Head of Leopold III facing right, legend in Dutch surrounding. Designer below. 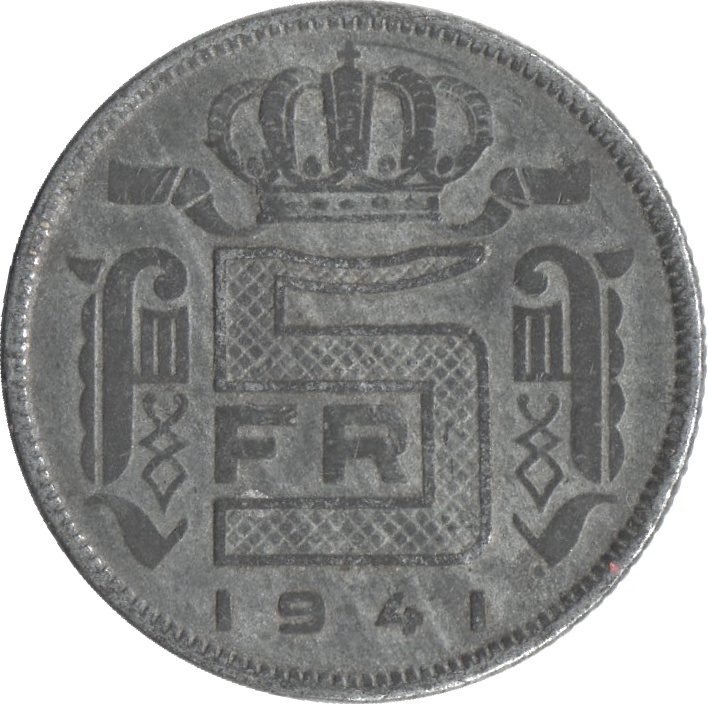 Crowned value at centre, flanked by monograms of King Leopold III. Date below.